The Scoop: Matchmaker Amanda Rose founded a boutique matchmaking firm, aptly named Dating Boutique, to stake out a middle ground between impersonal dating sites and expensive introduction services. She makes a point to ensure her dating services are accessible to relationship-minded singles of all backgrounds and budgets. Though Dating Boutique offers high-end matchmaking for the wealthy, it also runs singles events that are open to the public. Plus, in the last year, the firm has allowed singles to join its database for a low monthly fee, thus empowering the average dater to use its national network to find love for themselves. Today, Amanda has combined high-tech matching tools with her matchmaking experience and intuition to create a streamlined system for finding a compatible partner. Dating fatigue is a common issue among matchmaking clients. Years of disappointed hopes and frustrated efforts can lead singles to the brink of giving up on relationships altogether — they may as well get a cat and prepare to be alone forever — and that’s usually when they think to hire a matchmaker. Singles turn to matchmakers for many different reasons, but it usually boils down to this: I’m tired of dating on my own, and I need help. Dating Boutique Founder Amanda Rose has developed personalized and affordable matchmaking services. Premier matchmaker Amanda Rose has seen for herself how demoralizing modern dating can be. She told us her clients often tell her about their online dating experiences — and it’s usually not a pretty picture. She hears horror stories about singles getting catfished, ghosted, stood up, rejected, blocked, and generally mistreated by an impersonal and ineffective matching system. These singles want a better way to meet relationship-minded singles, and that’s what Amanda endeavors to provide. Her company, Dating Boutique, serves as an all-in-one solution for singles ready for something serious. The matchmakers provide concierge services for CEOs, entrepreneurs, and celebrities, and they have opened their matchmaking database to single professionals who want assistance in the dating scene — but don’t want to pay thousands of dollars for it. This new service costs only $49 per month. 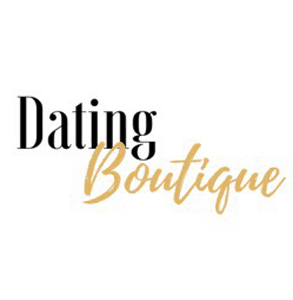 Dating Boutique started out as a traditional, high-end matchmaker for clients who valued their privacy and could afford concierge dating assistance. The company catered to the upper crust. The team lent a helping hand to celebrities who didn’t want to publicize personal details on a dating site, CEOs who didn’t have time to look for dates, and other successful and discerning individuals. Now, however, the team has shifted gears to allow both wealthy and budget-conscious singles to become members of Dating Boutique and find a match using the matchmakers’ network. The Dating Boutique team help singles find that perfect match. The first step to becoming a Dating Boutique client is filling out an in-depth questionnaire. The matchmakers ask potential clients about their lifestyles, interests, preferences, and dealbreakers to gain a complete sense of their personality types and what matchmaking can do for them. “The more stuff we know about you, the better we can match you,” Amanda said. But the matchmakers don’t just offer hands-on introductions, they also empower clients to become their own matchmaker. Clients can forgo the boutique route and join the matchmaking database for a low monthly fee. The premier system works similarly to online dating, but it draws from Dating Boutique’s clientele to help singles expand their dating networks. The matchmakers can curate matches for clients (they do not promise to arrange any introductions), and the clients can also seek their own dating destinies and decide for themselves which date prospects they’d like to meet. Once singles have had their fill of missed connections and disingenuous profiles, they start looking for alternatives to online dating. Or they start looking for cats. It’s usually around this time that serious daters consider outsourcing the search for love and hiring a matchmaker. But not everyone can afford these services. The typical boutique matchmaker has to cater to the extremely rich just to earn a living. Such companies set sky-high prices that the average working stiff would balk at (buying a cat is often much cheaper), but the downside is that the buy-in limits the number of singles they can match. In the last year, Amanda Rose has turned that classist matchmaking model on its head and opened her singles database to dateworthy professionals of all income levels. She has maintained a lucrative, luxury business by developing dating services that are flexible to the needs and sensibilities of singles from all walks of life. As a result, her one-of-a-kind speed-dating events and tiered matchmaking services have opened up a world of possibilities for single men and women throughout the country.